Budget about SGD $30 ++ per person. 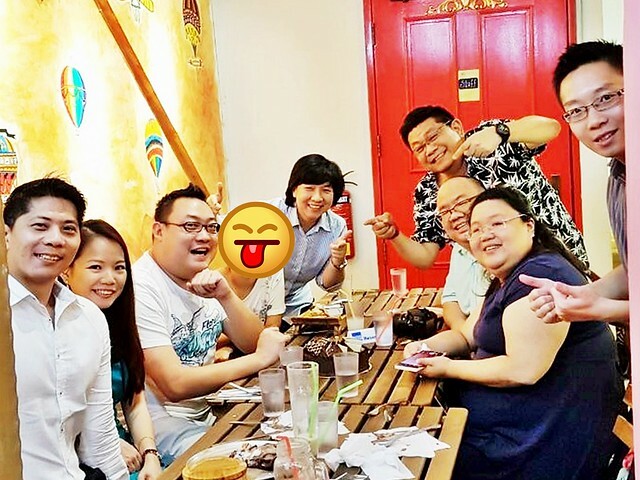 Originally founded in January 2016 by sisters Cindy and Yvette Chua, the same founders behind Hatter Street, Oh My Tian is a carnival themed dessert cafe, offering an expanded main course menu as compared to its sister brand. However, as of January 2017, Oh My Tian has been sold to a new owner, and is no longer affiliated to Hatter Street. 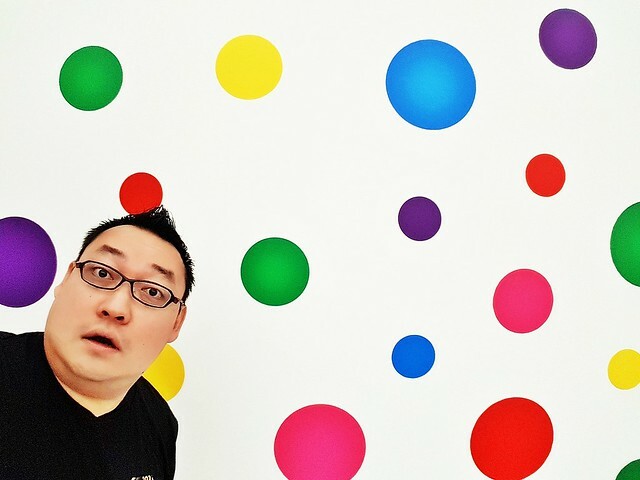 New owner and 1st time restaurateur Aloysius Chan has big shoes to fill, and a new direction to take Oh My Tian cafe. 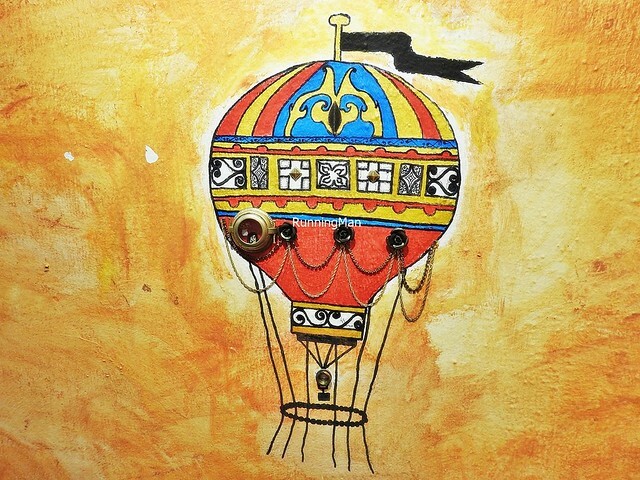 Ambience at Oh My Tian retains its fun, whimsical, carnival fun-fair themed atmosphere, with images of hot air balloons and a carousel. 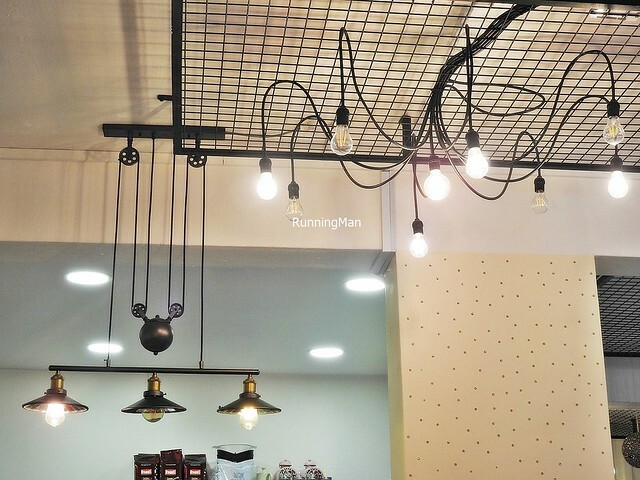 Beyond this, the cafe is simply and functionally decorated, with bright lighting and simple wooden and plastic furniture. Thoughtful spots make for some interesting photography points. Background music is eclectic, a mix of modern English and Mandarin pop. The attractive display of ice cream greets guests who step in. Lovely place. Service at Oh My Tian is partially self-service. Staff take orders tableside, and will assist in serving it to your table, however, payment is over the counter, and diners have to help themselves to cutlery. 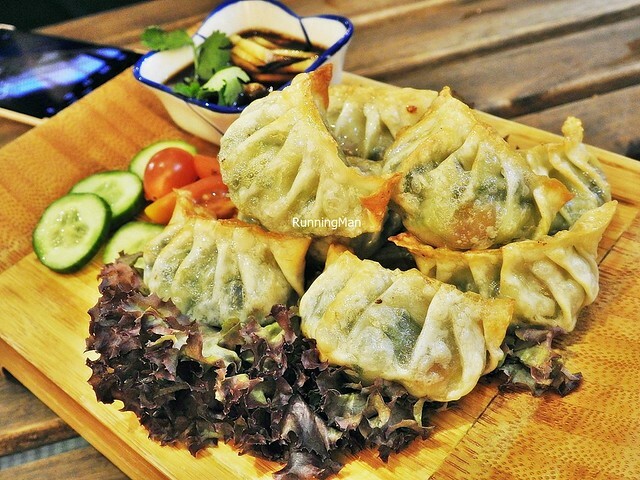 The menu has detailed descriptions of dishes, which is helpful as the mostly young staff don't really engage diners, save for the efforts of the owner. I did feel they could have been more efficient in clearing empty / dirty plates as well. 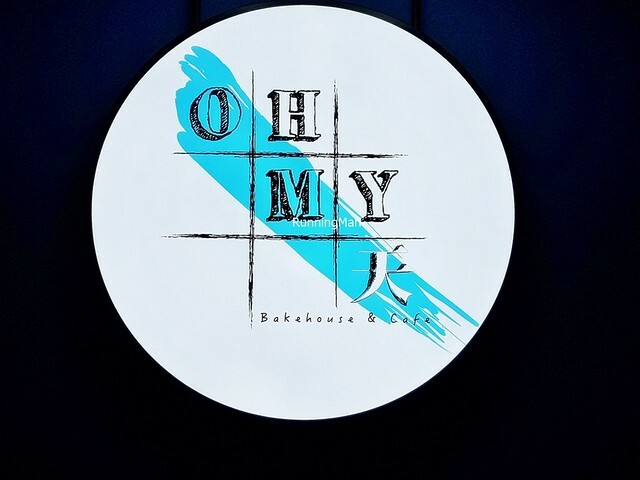 Food at Oh My Tian is focused on desserts, and modern Singaporean cuisine, most of which is largely innovative fusion. However, the recipes were not handed over to the new team, so the majority of dishes taste different from before. In particular, I find their main courses are now slightly better than their desserts. Taste is hit-and-miss though, some were really good, and I would return for more, while others were forgettable. Portions are large for individuals. Prices are comparable to a premium cafe, budget about SGD $30 per person, which is below average value for me. 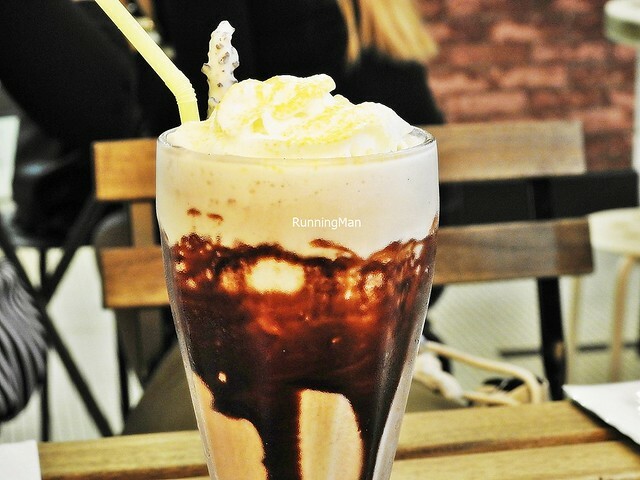 The aptly named Milkshake From Heaven (SGD $8.80) is super rich, with a thick, creamy texture from 2 scoops of ice cream, and loads of chocolate. More than a beverage, it can also be a dessert for sharing. Good! 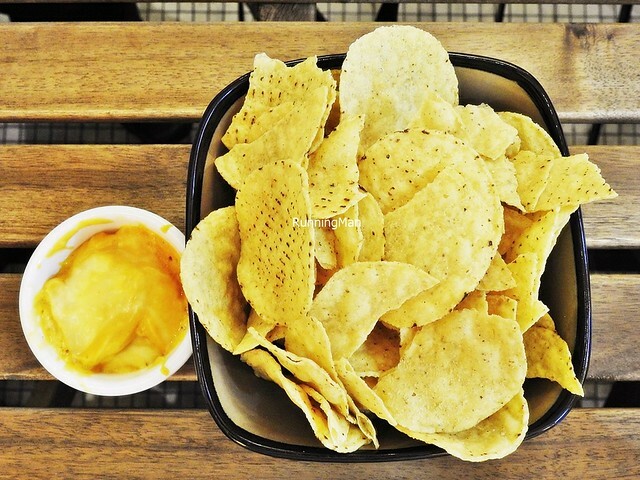 The Nacho Chips With Cheese Sauce (SGD $6) may feature regular store-bought nacho chips, but the highlight is the house made nacho cheese sauce mixed with mayonnaise, giving it a lovely creamy rich texture. Nicely salty savoury cheesy in flavour. Priced around the same as those from the movie theatres. 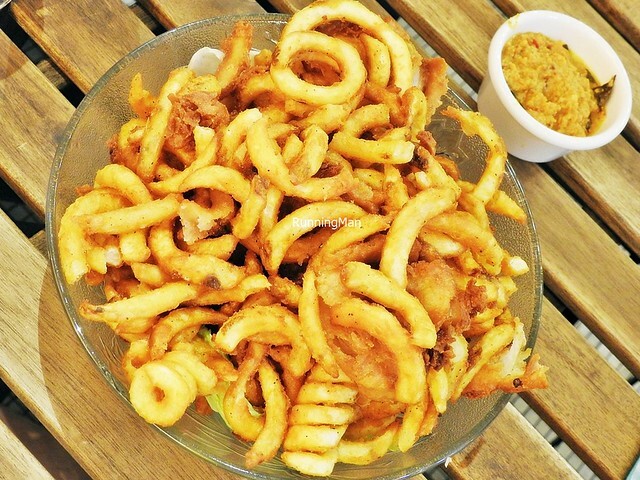 The best sharing snack / appetizer here is the Curly Fries & Onion Rings Combo Set (SGD $12 / $18), a huge bowl, heaped with crisp fluffy curly fries and battered onion rings. Good potato and onion flavour, savoury sweet salty in taste. Incredibly addictive, we finished every bit of this. You get a choice of sauce to accompany, personally, I prefer the cheese sauce. Good! The Seafood Gyoza (SGD $12) has a crisp exterior, with a moist interior, but is strangely more salty than it should be. The Greeny Protein (SGD $14.80) was my favourite dish here. Fresh, crunchy lettuce, bright cucumbers, juicy cherry tomatoes, and sliced hard boiled eggs, all coated in a fragrant roasted sesame sauce with notes of nutty sweet savoury. 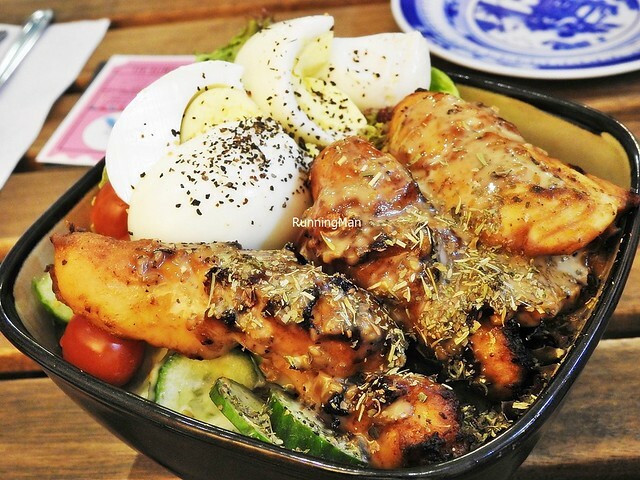 Topped with moist and tender chunks of herb crusted, teriyaki marinated, roasted chicken fillets, nicely smoky savoury sweet in taste. Will return again for this. Highly recommended! 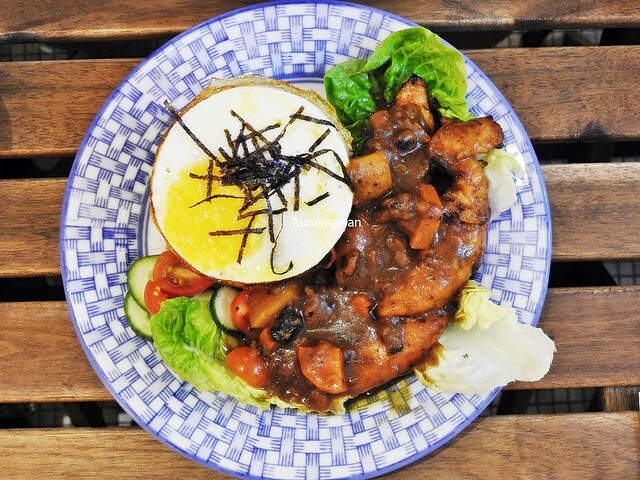 The Oyakodon Thigh (SGD $16.80) is among the better dishes here. Choose from a spicy or non-spicy version, though I personally prefer it more spicy. 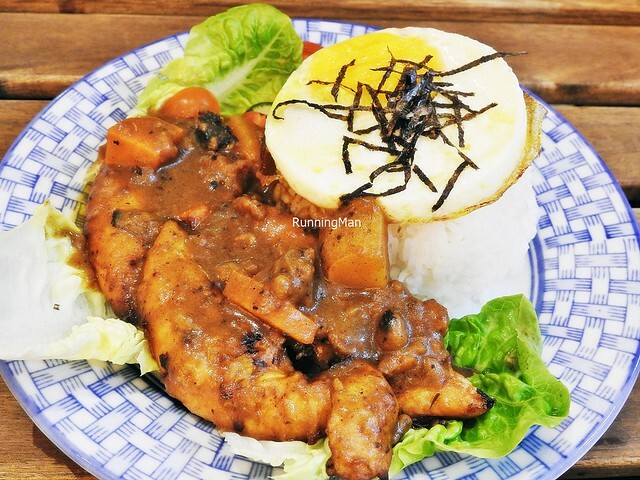 Like a deconstructed Japanese curry rice, the plain canvas of starchy white rice is enhanced with tender and moist teriyaki marinated chicken fillet, crunchy lettuce, a fried egg, and a heaping portion of thick, rich Japanese curry (with potatoes & carrots), having bold savoury salty sweet flavour. I did feel they could have toned down on the seasoning slightly though. Good! The Dory Voyage (SGD $16.80) is their version of a Fish & Chips dish. 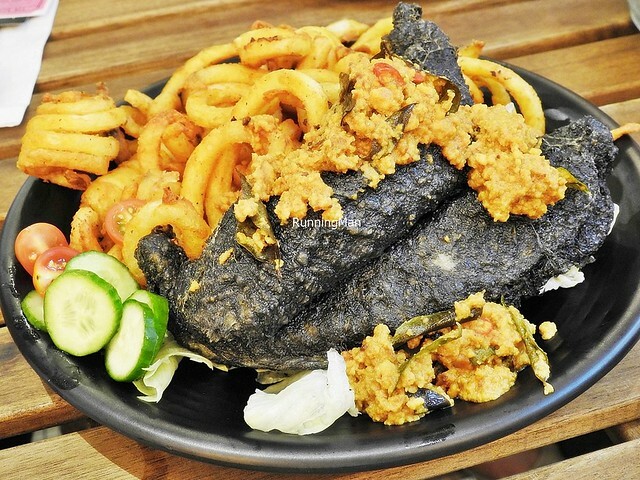 A large, tender fillet of john dory fish is enveloped in a beer infused charcoal batter, served with curly fries, cucumbers, cherry tomatoes, and a dollop of salted egg sauce. While the fish has decent and delicate sweet savoury flavour, the limp batter, which has little taste, didn't enhance it. Also, while the Thai chili sauce is nice, the salted egg sauce here is oddly grainy, due to the inclusion of salted egg powder to create the sauce. Alright dish. 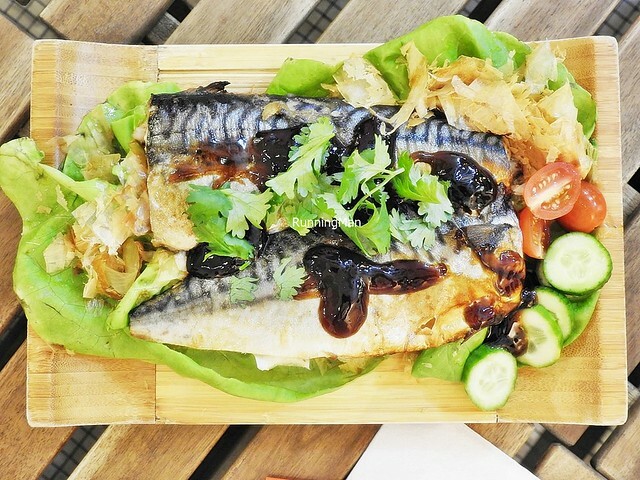 The Grilled Saba Shioyaki (SGD $14.80) features a large fillet of sake marinated mackerel fish, coated in teriyaki sauce. 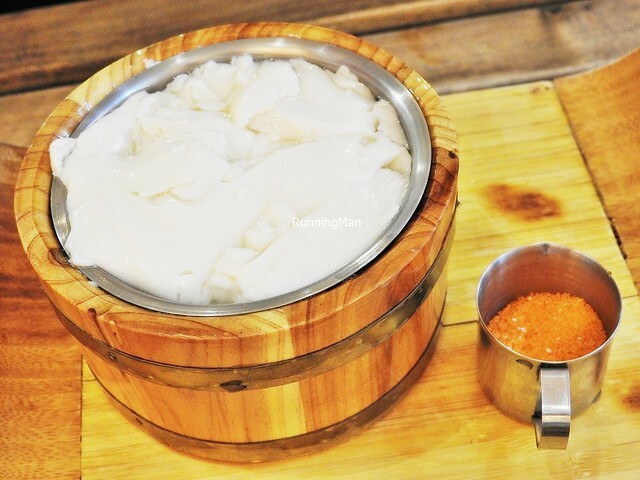 The sauce lends a sweet flavour, but the fish seems to have drowned in alcohol or Shaoxing wine / hua tiao jiu / Chinese rice wine, having a sharp bitter taste. The fish is meaty and savoury, but lacks the natural sweet flavour you get with fresh fish. 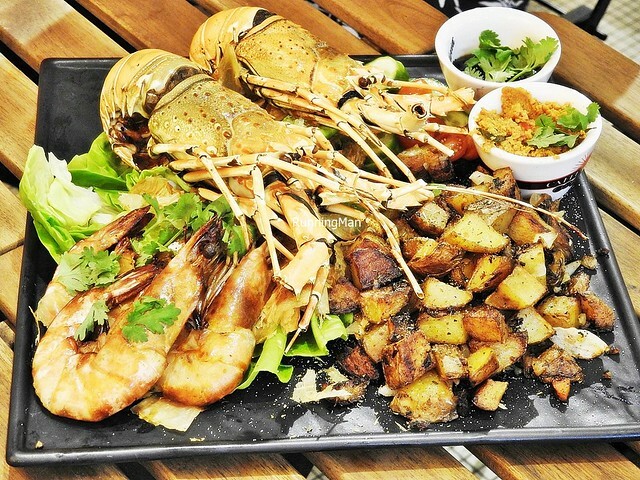 The Combo Seafood Set (SGD $59.80) is pricey because it features prawns and lobsters. Personally, I wouldn't order whole lobsters in a cafe, because it's so expensive to get them fresh, and you're also limited in the preparation methods, unlike a Chinese Zi Char restaurant, which has better range. I'd recommend using the money on a buffet instead. Skip this. 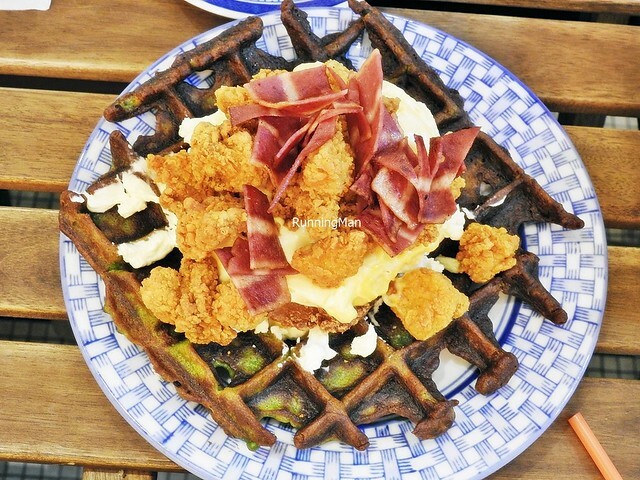 The Chicken & Waffles Nachos (SGD $16.80) is overkill, a heart attack on a plate. A mountain is heaped over a dry, firm pandan / screwpine leaf infused waffle; including hash browns, bacon, and liberal amounts of the house cheese sauce. The best part here are the chunks of store-bought popcorn chicken. However, it's also really salty from the combination of ingredients. Skip this. 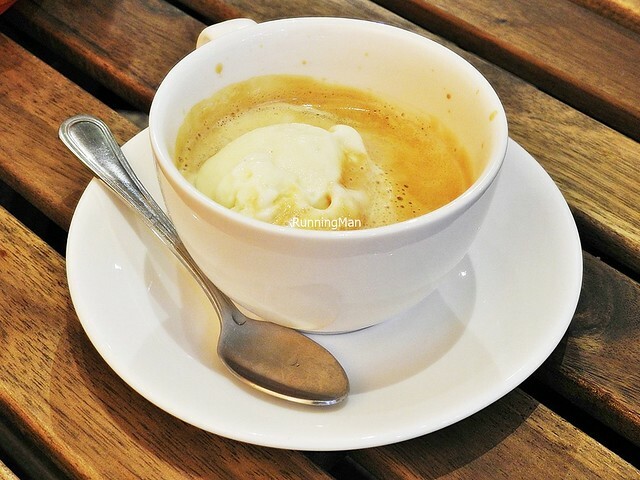 The Affogato (SGD $6) here is good, because the coffee espresso is strong with roasted notes, and the vanilla ice cream is creamy and milky with nicely sweet notes. Highly recommended! 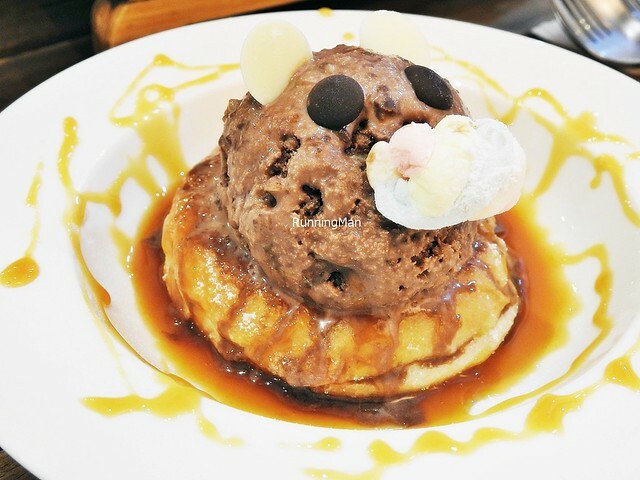 The Waffle With 2 Scoops Of Ice Cream (SGD $12.50) is a decent sharing dessert. 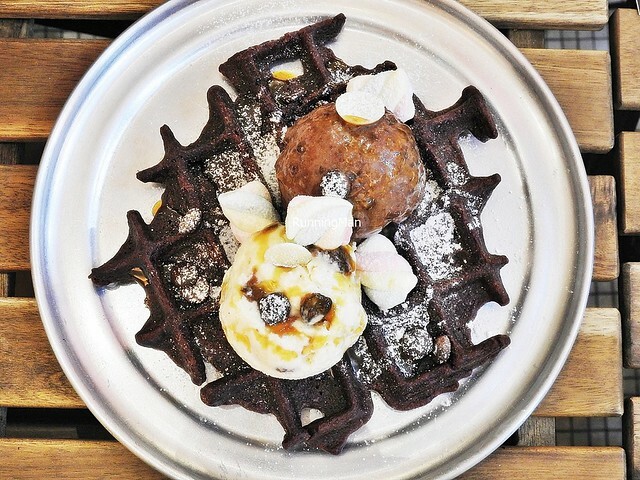 The chocolate flavoured waffle has to be eaten immediately when served, while it's still hot and fluffy, because it quickly dries and goes firm. Served with a choice of maple butter, salted caramel, or chocolate sauce. 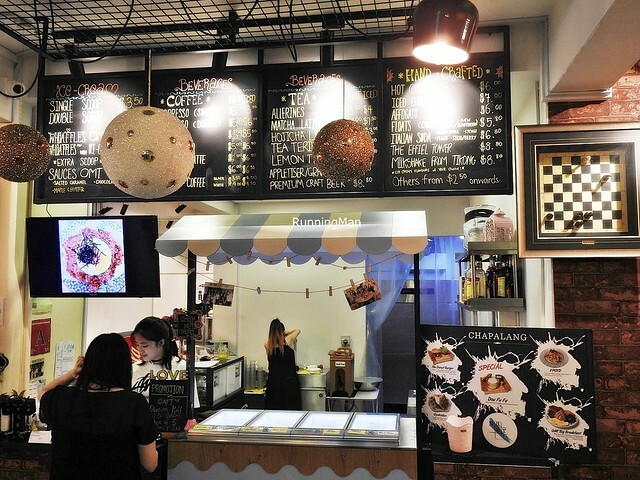 I like the cute presentation of the Donut Ice Cream (SGD $6). Good ice cream aside, the doughnut was a little more dense in texture than it should be. Could be improved. The best dessert here is the Hong Kong style OMT Dou Fu Fa (SGD $5), or soya beancurd with sugar crystals. The texture is smooth and curd-like, silky and delightful. Because the sugar crystals are served on the side, you can choose to add as much or as little as you wish. I actually see diners coming in here just to order this. Highly recommended! 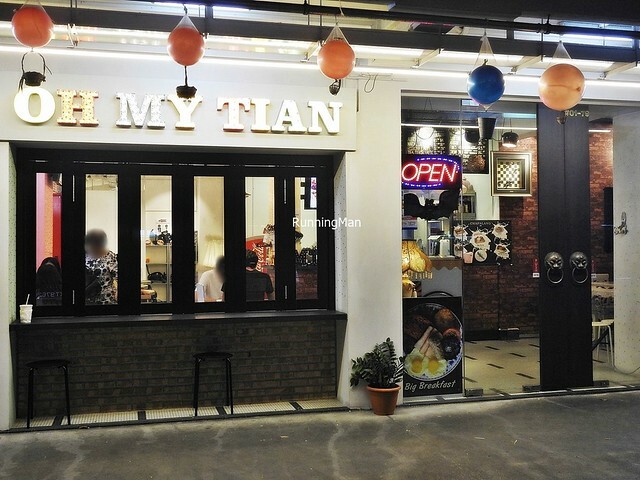 Overall, Oh My Tian maintains the same fun, whimsical ambience as before. Their service is comparable to most other cafes, decent but unmemorable. The food here is now hit-and-miss, some dishes were outstanding, others not so much. 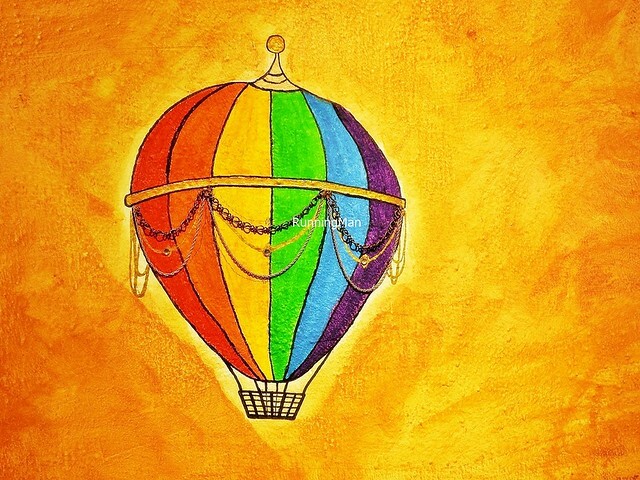 There is a lot of room for improvement, and they need to quickly do so to remain viable.